This is an exciting time. On May 5, 2018, we still adhered to the booth and the provincial and departmental leaders visited our booth. Although it was the first time I met, it was more like a long-term reunion. Leaders made relevant understanding of the company's development and product type at the current stage, gave a high evaluation of our company's products, and expressed that it will pay high attention to the development prospects of the company. At the same time, it also tells us if there are any difficulties, we can promptly give feedback to the leaders. Our company also actively responded to various activities planned by the government and was very grateful to the government for its support and leadership's thoughtful care. What exhibition did we participate in this time, should someone ask? If you have previously followed our FEELWORLD or SEETEC official website, you should know the answer immediately. 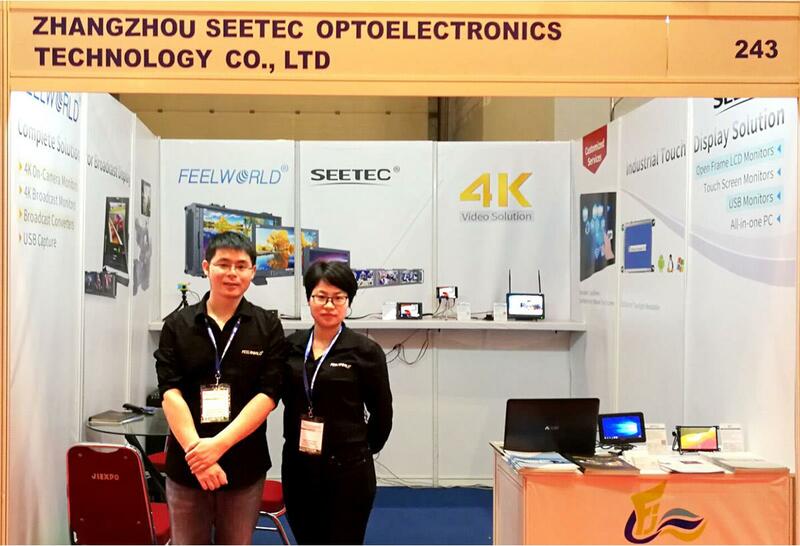 This time, the company participated in Indonesia Industrial Machinery And Electronic Products Exhibition 2018, referred to as IIME Exhibition. What kind of exhibition is IIME? The IIME exhibition has been successfully held for 12 sessions. 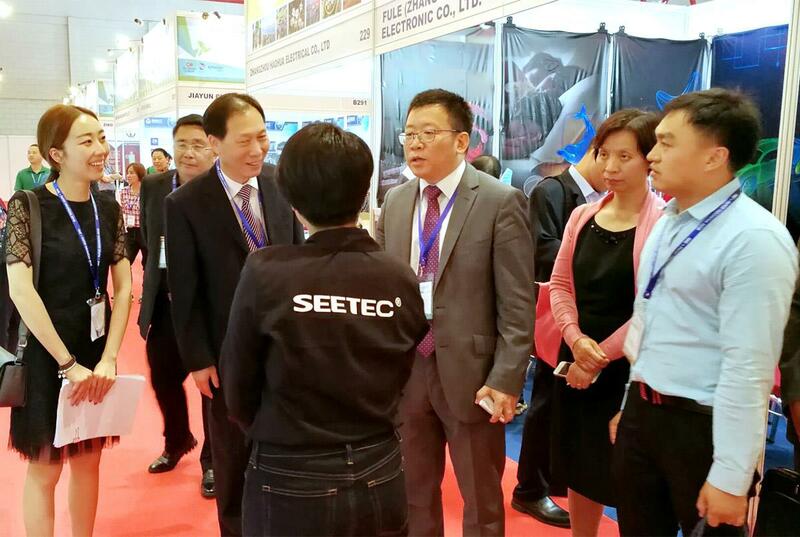 It has become the largest number of local Chinese companies participating in the exhibition and has great influence on mechanical and electronic products. In recent years, Indonesia’s demand for Chinese-made machinery and electronic products has been huge and the degree of attention has continued to rise. In 2017, more than 1,000 exhibitors from China participated and the exhibition area reached 12,000 square meters. The FEELWORLD/ SEETEC booth no. is HALL B1-B2 243 at the Jakarta International Expo. Walk into the booth you can see the "Fujian Brands on the Maritime Silk Road" propaganda. This is the Provincial Department of Commerce's effort to promote "Fujian Brands on the Maritime Silk Road" activities and build a platform for companies to strengthen economic and trade ties with countries along the Maritime Silk line. Our company also actively participated in the "Fujian Brands on the Maritime Silk Road" activities. Then walk into the FEELWORLD/ SEETEC booth and you can see the prototype of the exhibition. 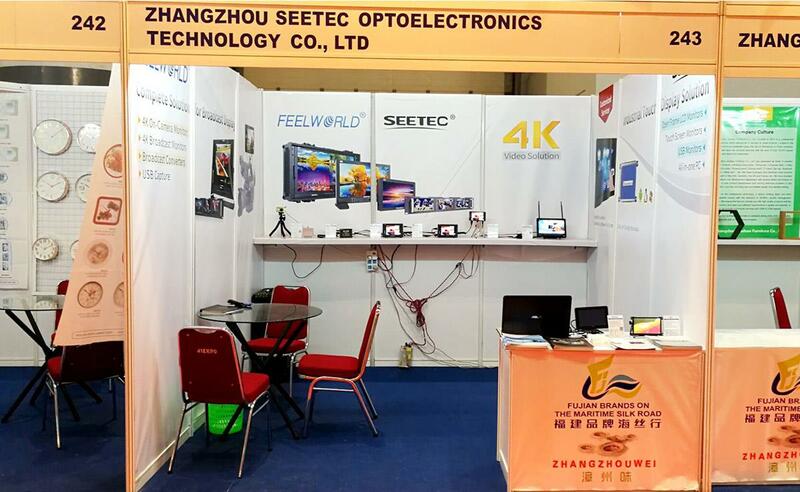 The exhibition focused on 4K small monitors, USB monitors, industrial embedded PCs, touch screen monitor, fpv monitor, and converter box. These three monitors are all deeply loved by users. They have adopted aluminum metal body design, full HD screen, 4K HDMI input and output interface, and they are a good hand on focus and exposure. F570 is 5.7 inch, T7 / F7S are 7 inch, F570 in size will appear more compact and exquisite, very suitable for DSLR camera or mirrorless camera. 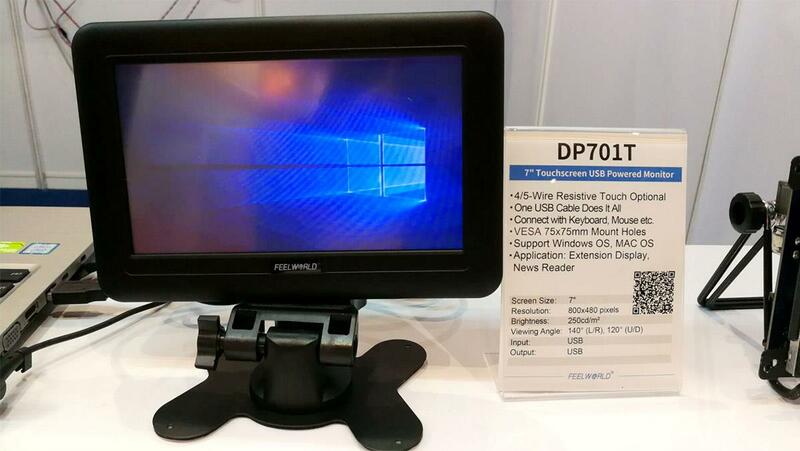 If you want a bigger screen to monitor, you can choose T7/F7S. The F7S adds SDI input and output ports on the basis of T7 to meet the connection of cameras with SDI interface like the PXW-FS5K. 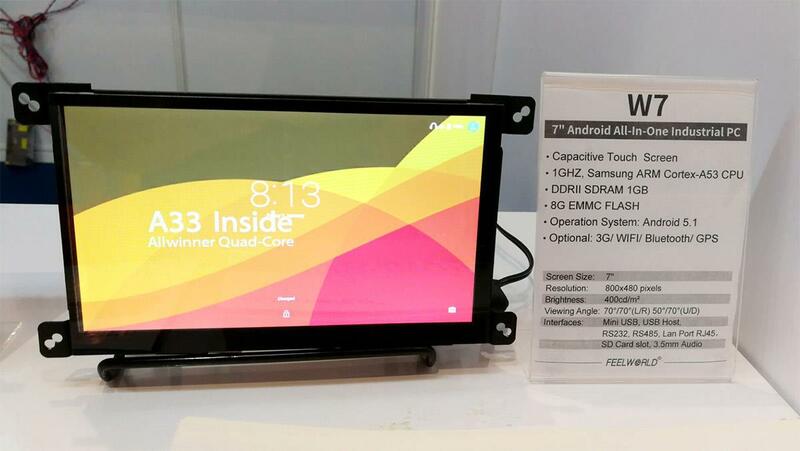 Equipped with a capacitive touch screen, support for Android system, rich I / O interface, high performance, low power consumption and diverse installation methods, can be widely used in various industries and businesses. With the touch function, it is very convenient to use, just use a USB cable to expand the screen, play the display screen of the notebook synchronously, without additional power supply. Can be used to expand displays, news reading, digital photo frames, game play, conferences, etc. Good times always go fast, and the three-day IIME exhibition also came to a close. However, the pace of progress of our company it will not stop. Technological innovation and R&D of products will continue and will bring you more products that meet the demand.